Hydraulic Pump Drives suit off-highway and mobile equipment. Mounted between engine and power take-offs, Power Pump Drives provide for multiple live or clutched pumps. Self-contained units do not require external lubrication, and internal heat exchangers can be added where required. Available in 4 sizes with max torque capacities from 413-4,650 lb-ft and operating speeds from 2,100-3,000 rpm, all drives mount to standard SAE housings and provide up to 8 pump mounting faces. Flexible couplings on input side are provided for torsional dampening. Wichita Falls, TX - WPT Power Corporation is proud to announce a new line of Hydraulic Pump Drives. The WPT Power Pump Drives (PPD) will better equip WPT to meet a more extensive range of engine driven application needs and extend our ability to work with our customers on broader application requirements. The Power Pump Drives are available for indirect or auxiliary drives, which make them suitable for off highway and mobile equipment, including, but not limited to, wood chippers, road working machines, rock crushers and grinders. The Power Pump Drive mounts between the engine and the rugged WPT Power Take-Offs and provides for multiple live or clutched pumps. The pump drive is self-contained and does not require external lubrication or pumps. Internal heat exchangers can be added where required and a variety of options, including PTO clutches, are available. on the input side for torsional dampening. WPT Power Corporation is an international manufacturer of pneumatic and hydraulic power take-off's, clutches and brakes for a broad range of industrial, marine, mining, off-road and energy markets. WPT Power has been a leader in the power transmission industry, providing superior products with the highest of quality since 1992. 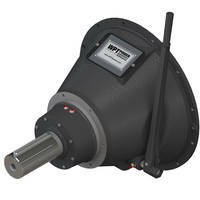 For more information about WPT Power, visit our website at www.wptpower.com. 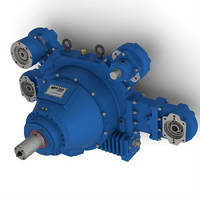 Winch Drives feature planetary design.